This Up Crafts projects is really great: When children are bored and looking for something interesting to do, crafts are a great way to bring some excitement to the table, literally, and keep them busy for hours. 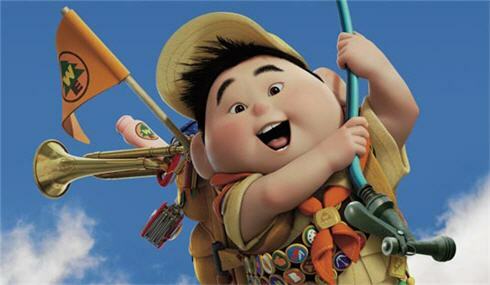 Have you ever watched the film Up? I am sure like many adults and children across the world you enjoyed this amazing and wonderful story. In light of this great film and to give children something interesting to make why not recreate something from the film Up by having some Up craft ideas to hand? If you are interested in creating some Up crafts why not try the Up craft idea below, it is one that is sure to be a winner with any child and keep them occupied for a very long time. Take your small square box and glue paper to all sides so you have a white box. Now take the card and use this to make a pitched roof and glue this on the top, you will now need to use the card left to fill in the gaps where the roof pitches by gluing some extra card in place. You should now have a 3 dimensional house in an all white color. It is at this opportunity you can now take the coloring pens and draw then colors the windows, doors, roof and walls of your Up house. Cut out balloon shapes in paper and color them in using your pens, now take the pipe cleaners and glue them to the roof of your house then glue the balloons in groups of three or four on to your pipe cleaners. You should now have a house that looks like the film Up with balloons above it that make it look like its going to float away. For those that want to go the extra distance you can also create the star attraction of the Up film, the old man. To do this, use a pipe cleaner to create a circle then draw, cut out and color the face of the old man and glue this to your pipe cleaner circle. You now have a face that you can glue to a window. Now take a pipe cleaner and cut two lengths of 2.5 centimeters (1 inch) and cut out then glue a hand on each, you can now glue these either side of the head at the window to make it look like he is reaching out of the window.